Whether your small business has one or 100 employees, it’s important to understand the federal employment laws and how they apply to your company. Gwen Bates has been an investigator with the U.S. Department of Labor’s Wage and Hour division since 2012. Prior to this role, she spent two decades as a Department of Defense employee. She also has 24 years of military service with the Oklahoma Air National Guard, where she retired as colonel. Bates has deep roots in Oklahoma. She was born in Oklahoma City and raised in Bethany, where she attended Southern Nazarene University, earning both a bachelor’s in business administration and a master’s in management. To attend the February 15 Business for Breakfast event, please contact Diane Maddox at dianem@meridiantech.edu or call (405) 377-2220 or toll-free at (888) 607-2509. An RSVP is strongly encouraged. 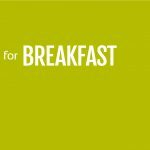 The Business for Breakfast networking group will meet from 7:30 – 9:00 in Room 104 North in the Center for Business Development at Meridian Technology Center. The meeting includes a guest speaker and provides business owners and entrepreneurs an informal opportunity to network and share ideas and experiences. All networking sessions are free and include a continental breakfast. The Center for Business Development is dedicated to empowering entrepreneurs through networking, education, consulting and business incubation services. Assistance is available in various areas such as marketing, product planning, international business and writing business plans. For more information visit www.meridiantech.edu/entrepreneurs or contact the Center for Business Development.